The release of the Interim Report from the Royal Commission into Misconduct in the Banking, Superannuation and Financial Services Industry today is a watershed moment for the finance sector according to Consumer Action Law Centre and Financial Rights Legal Centre. Commissioner Hayne has slammed the finance sector for its greed and the ‘pursuit of short term profit at the expense of basic standards of honesty.’ The Commissioner has taken aim at the industry’s sales culture, accusing banks of searching for their ‘share of the customer’s wallet’ and staff being ‘measured and rewarded by reference to profit and sales’. 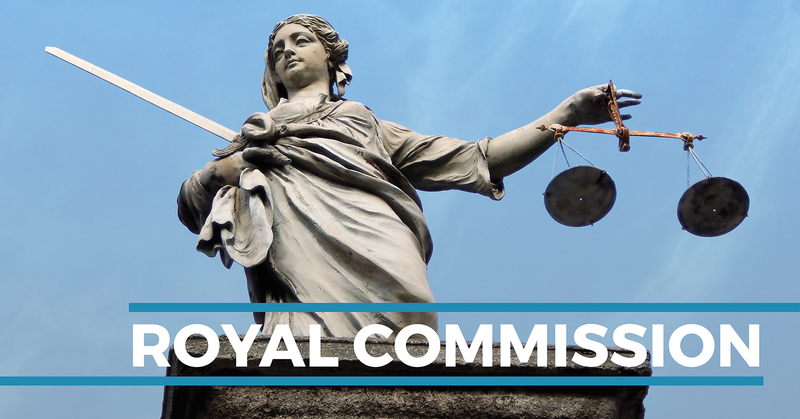 The Royal Commission has uncovered a litany of misconduct and unlawful behaviour so far, including irresponsible lending, mis-selling of junk insurance policies and fees for no service. Importantly, the Royal Commission has heard from everyday Australians who have been victims of misconduct. Sadly, the stories heard by the Commission are not unique—they represent systemic problems with our finance sector that must be fixed. Community lawyers and financial counsellors hear from people in distress every day who can’t afford to repay loans or have been sold dodgy financial products. The consequences for these people are dire: it can mean losing a home, bankruptcy, worsening health or family breakdown. The value of add-on insurance products. The Interim Report describes an industry culture of greed and impunity. It is clear that the sector can’t be trusted to self-regulate. There must be appropriate consequences for misconduct to force Australia’s financial services industry to comply with the law, and a regulator with the necessary resources to pursue businesses and individuals who break those laws.